Clock the Chaos Mage. A stranger out of time, hidden in the folds of shadow. He is the guardian of Coney Island’s supernatural borderlands, and the only thing standing between our reality and the demons that thirst to destroy it. Tales of dark pulp fantasy and horror. Clock’s wardenship has been compromised. Angered by his refusal to join them in their battle, the Indigo Mushroom and its Mineral Gods have ripped away a layer of his spiritual protection. Clock’s identity is no longer hidden from the minds of his greatest enemies. The satanic, cannibalistic Daughters of the Black Moon now gather and ready themselves…For a deadly assault on Coney Island’s protector! 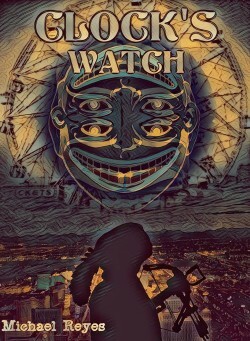 Clock’s Watch II: Daughters of the Black Moon. 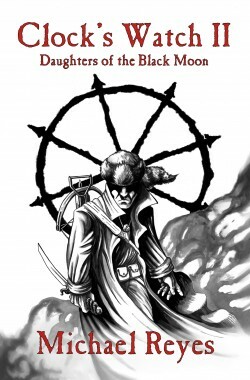 A novella of heroic dark fantasy and terror. Illustrations by Sean Bova.